The Ballarat rental property market is currently thriving due to high demand. Investors are buying in record numbers and taking advantage of minimal wait times before seeing a return on their investments. With a high demand for Ballarat real estate rentals, prospective tenants need to ensure that they are informed about rental procedures and know how to craft a highly polished application. To help our clients achieve this, we’ve come up with some simple steps to helps tenants apply for a property and secure the right rental for their situation. Investors are flocking to Ballarat largely thanks to historically low vacancy rates. For example, the vacancy rate in October for Ballarat was just 0.7%. Jens Veal partners are currently experiencing a zero percent vacancy. Now, more than any other time, renters need to find a way to stand out from the crowd. Just like preparing a resume for a job interview, tenants need to ensure that their rental application stands out to a prospective landowner. Here are some ideas to put you a cut above the rest. Write a cover letter – it sets you apart from a list of names on property manager’s clipboard and gives you a chance to tell your story. Chat to the agent at the inspection – making a good impression makes you more memorable. Apply as soon as you’ve viewed the property. It’s a good idea to tell the agent that’s what you’re going to do because the landowner will often rely on the real estate agent’s impression of the house hunters and might ask if anyone stood out in the inspection (that could be you). Dress neatly but don’t overdo it. If you look like you take care of yourself, they are more likely to trust you to care for the house. A professional look also hints at financial stability. Pre-prepare all your supporting documents. Be diligent and honest when filling out the forms – make it easy for your agent to view and process your information. While we can all admit that many landlords are not fans of pets in their properties, there is hope for pet owners. Here are a few tips to help get you on the top of the list. Provide a pet reference from a previous real estate agent. Create a pet resume. Show your prospective landlord how much you care about and invest in your furry friend. The ‘resume’ should contain things like a vaccination history, desexing, hygiene procedures and any pet training schools that they have attended. Providing all this information (ready with documentation that backs it up) is a good idea, even if the application hasn’t asked for it. The more information the better. Some tenants offer the landlord more rent or a pet ‘bond’ in case of any damage. The other option is informing your landlord that you have taken out pet insurance that covers damage or agreeing on a procedure if your pet damages the property. Many people draw up a written agreement to deeply clean the house on departure to remove any trace of your pet when you leave. Try it out. Conducting a trial period can determine whether the arrangement suits both of you, but make sure you have this period clearly stated in writing. If your pet is an outside pet, make that clear and even put it in writing. Offer to bring your pet for the property manager or landlord to meet. This is a great way to remove stigma and show how friendly and well trained your pet is. If you are still having trouble, try widening your suburb search area as less populated suburbs further from the CBD are usually more pet friendly. Understand your lease and know your rights. Thoroughly read the document and ask for help if you are unsure. Ensure you thoroughly read and double check the rental inspection performed by the real estate agency, taking written notes on any damage missing from the report, before you sign it. A bond payment is usually equivalent to 4 weeks’ rent, refundable at the end of the lease on the condition that you leave the property in the same condition you found it (making allowances for ‘reasonable’ wear and tear). Any damage sustained to the property whilst in your tenancy could result in the loss of your bond (either partially or in full). Rent can be paid in various ways and it should be stated on your lease. Failure to pay rent may result in you being lawfully evicted by your landlord. It is important to keep a record of your rental receipts in a safe place. It is the landlord’s job to keep the property in a livable condition (although you are required to care for the property). If something breaks or is not functioning normally around the house, you need to make contact with your real estate agent or landlord. Pay bond and any rent required in advance. Pick up all keys (including mailbox and window keys etc) and relevant property information. Make sure utilities (and internet) connected. Notify relevant authorities of change of address. Check property for toxic substances and ensure adequate security. Make up the beds for the first night. Find out when garbage removal is. 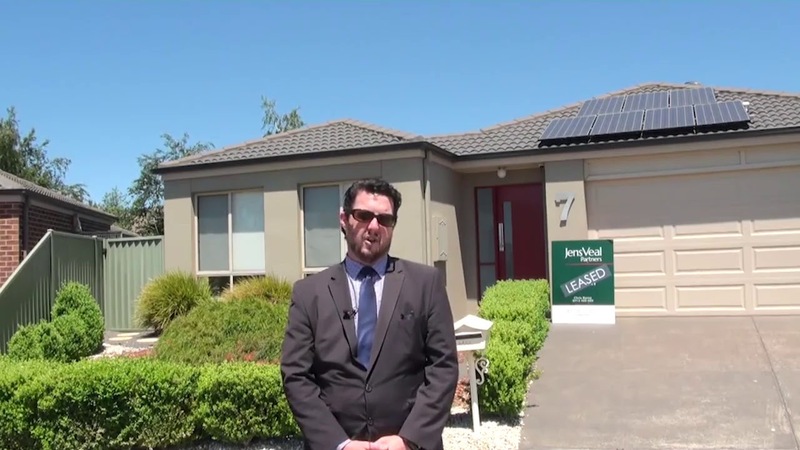 By reading this guide, Jens Veal hopes that you will feel more equipped to begin the search for Ballarat real estate rentals with great success as your end result. If you need further assistance or information contact us at Jens Veal Partners via phone or email.